It's a treat to be able to interview someone you admire who is an expert in a field you care about. That's why, even though this is a busy season in my life, I couldn't pass up the opportunity to interview MaryAnn F. Kohl, author of over 20 award-winning books about children's art and a contributor to Family Fun magazine (among many other distinctions). The thing I love about MaryAnn's books is her obvious and genuine care for children. It is tempting as a parent or a teacher to gravitate toward art projects that "turn out well," with end-products that make adults feel that the time has been worthwhile. MaryAnn, on the other hand, sees art from the perspective of a child and knows that it is the creative exploration that is often very special to children. That's why in Scribble Art, you'll find oodles of ideas for open-ended art experiences. Who knew that there were so many possibilities for art mediums and canvases around the house? 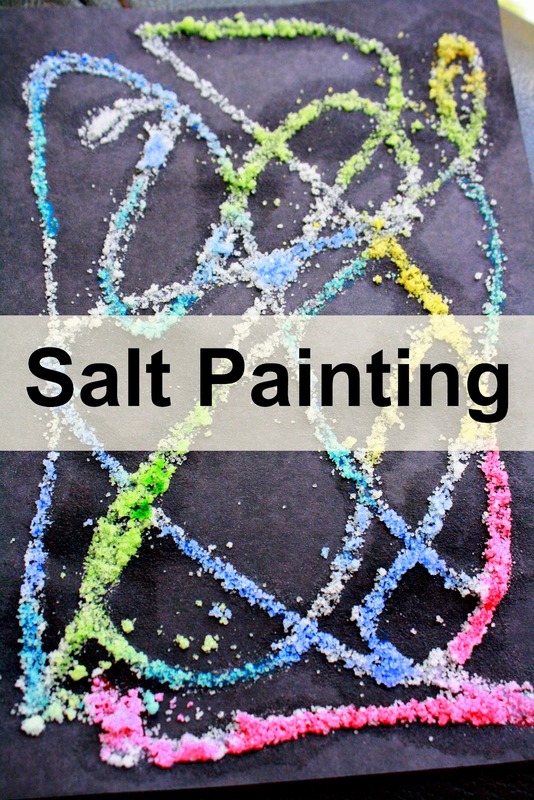 Liquid starch, flour, sawdust- even insulated telephone cable find their way into over 100 activities that children can do independently for the sake of fun and beauty. I'm finding it can be a great boon to have this arsenal of fun lying about the house, by the way. The other day, as I was making dinner and needed to work uninterrupted, I found the tissue paper collages to do the trick nicely! So let's turn now to MaryAnn and hear her perspective on doing art with young children. 1. Can you tell us a little about the role art has played in your own life personally, both as a child and an adult? When I was little, I was constantly coloring in coloring books and on blank paper, and at times, on the walls. My mom provided me with scissors, glue, paper, and wonderful crayons all at my reach on a shelf we called the coloring shelf. As I grew, I had some talent with drawing, though I was never super talented, but I enjoyed it enough that I was often complimented on my work. This encouraged me to volunteer to do covers for classroom books or decorate invitations for the Halloween Party. When I began teaching, I found that even the most rowdy child would quiet down and become focused when doing art, and by art, I mean actually creating unique work with materials on hand, not copying something I the teacher had made. So I made sure art was a big part of everything we did. When I had my own kids, art was important from the beginning. Playdough, painting, coloring, and collage were a constant for my kids. They are both very good at art now, and though I don't think it is because of all the activities we had specifically, I do believe that their creativity was honored which has inspired them to go forward in life with that ability. 2. Each of your books makes a unique contribution. What about Scribble Art do you especially like? 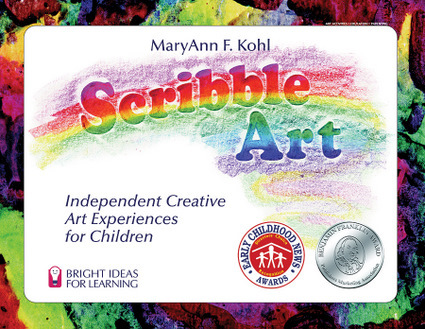 Scribble Art was the first book I wrote, and has sentimental connections back to my teaching years where all these ideas were tested with kindergarten through grade three children, children I knew and loved. I choose these projects because they were open-ended and I was so excited to write a book to encourage creativity for children where their own unique artwork rather than copying adult made cutesy projects. The book was published in 1985 and it is still my favorite and still selling well around the world (in 9 languages no less). 3. What tips would you give parents for doing art with very young children? Start small! Rather than putting out jars of paint for a painting project, start with some shallow jar lids filled with about 1/8" of paint, perhaps three colors tops. Use small brushes or cotton buds for beginning. On the other hand, using big brushes and a bucket of water outdoors will paint thousands of rocks and squares in a sidewalk. Big or small, messy or tidy, start with fewer materials in the beginning, and add more in as the children become adept at using them and learn to handle the wonder of it all. 4. As a mother, I often feel my blood pressure rise when art starts to get messy because I envision myself spending the rest of the day cleaning it up. I would love to hear about how you dealt with the tension between creative art and cleaning up messes when you were a parent of young children. Do messy type art on days you are ready to handle it. Otherwise, skip it for the time being. The smartest thing is to set up the art area ahead of time to catch the mess. For example, tape an old shower curtain to the floor or over a wall near their little work table, or keep a damp sponge on their work area for them to wipe their fingers; wear a fitted apron or cover rather than a big shirt with rolled up sleeves that get in the way. Plan ahead to prevent problems. Sometimes I put a loop of masking tape on the bottom of a paint cup so it won't tip over, or certainly only fill it half way, not to the brim. Ideas like this make things easier. And if possible, working outdoors is always nice and much easier to clean up. Encourage the kids to help with the clean up too. Part of being a child and being given wonderful experiences is to participate in setting up, mixing, cleaning up, etc. They love to wash the tables with a big soapy sponge! 5. Would you also give us some tips on doing open-ended art with young children in a group setting? I like to place materials on the center of a table that everyone can gather 'round together (usually no more than 6 at the table at a time). Everyone can reach in and use what is available, and everyone cleans up their own mess. I rarely show them any finished product they should be trying to achieve; I would rather just see what they do with the materials. Most materials shout out how they should be used, so you don't have to say much. 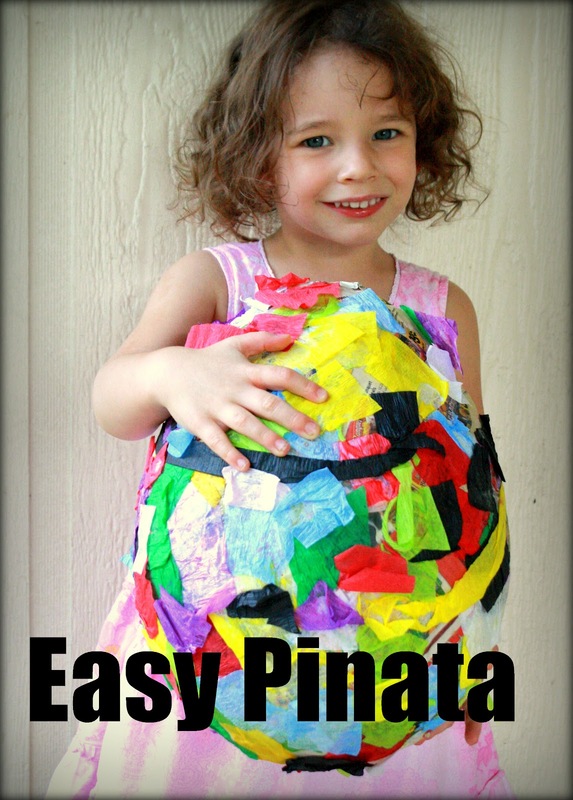 For example, if you have contact paper peeled away and sticky, and there are cotton balls and scraps of paper on the table, the kids will automatically stick the cotton balls and scraps to the sticky background. Let the materials you choose dictate how the activity will go. Sometimes you need to give a little demo or a brief explanation so they aren't left completely in the dark with new or unusual materials. But try not to make a sampale for them to copy, because they will copy it, and at that point, the whole purpose of creativity and unique thinking has gone out the window. Preschool Art is the best book for the 2-5 year old group, but it costs more than Scribble Art, and Scribble Art would do very well for that group too. My website also offers reduced price eBooks, which is another option. I'd love for your readers to visit my Facebook page too. MaryAnn has such a gentle touch in her thinking about children and mothering. Wouldn't you loved to have had her for a teacher (or a mom-coach :)? To hear more of MaryAnn's kind voice take a look at the beautiful interview that Tinkerlab did recently. 1) Like MaryAnn's Facebook page. Leave an extra comment for each of the above. Update: Giveaway closed. Winner is #21 Jennifer! I'll grant that "Rainbow Fish" is a bit random for a party theme, but it was the best way I could see to combine the odd assortment of things we thought up for my daughters's joint birthday party. an Ocean Punchbowl (once upon the time there were fish in there, but they sank and were never seen again). Fishing hats for coloring party favors. I traced the fish onto each hat using the easy method I wrote about this summer. The googly eyes were affixed with Jewel It glue. Each guest got to color their fish with regular markers. Every time they go through the wash, the hats can be colored all over again. I'm really a fan of using hats as party favors, by the way. It makes for such a cute group picture to commemorate the party. Can you tell what this is? It's two little girls with golf clubs connected by a nylon loop "scarf" twirling and dancing around the room to world folk songs. It has become a daily ritual around our house these days and lasts for almost an hour every time.